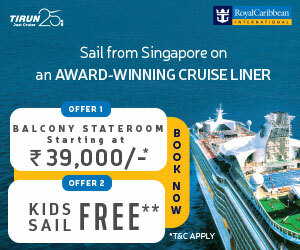 If you are an adventure sports fan and are looking for action-packed holidays, then get your adrenaline going with any of these trips to some far flung destinations: a trek into the higher reaches of the Himalayas, scuba diving in the emerald waters of the Andamans, gliding up in the air, or an exposure to the tribal lifestyle in the north east. All that and more. Keep reading and get inspired to take the road less travelled! Trek into the higher reaches of Uttarakhand, trek to the Gaumukh Glacier in Gangotri . The Gaumukh Glacier, so named as it is in the shape of a cow’s mouth, is the source of the Bhagirathi river, and eventually forms into the scared Ganges River at Devprayag where it meets the Alakananda river. From Gangotri it is a 14km easy trek to Bhowasa from where another 4kms will take you right up to the Glacier. Along the way are pilgrims praying and half clad holy men meditating by the mighty river Bhagirathi. The scenic beauty is unparallel and the sight of the Bhagirathi peaks compelling to say the least. Gangotri also happens to be one of the four sacred Dhams according to Hindu beliefs. From Rishikesh it is a 12 hour road trip to Gangotri where basic accommodation is available. Learn more about Trekking holidays and destinations in India. The Sasangir Lion Sanctuary in Gujarat is different. You have spotted a tiger at Ranthambore, cheetahs and wild elephants at Periyar, but never the King of the Jungle-the lion. At Sasangir, the last bastion of this species, the elusive and majestic Asiatic Lion roams free. Plan on spending a couple of days at Sasangir and that way you will be sure of sighting at least one of these beautiful creatures. Take early morning and late afternoon jeep safaris into the dry deciduous forest with guides that are experienced and almost always will lead you to where the lion is. Sasangir and the lion sighting is a thrilling experience! Within the park, some basic accommodation is available, and if you are looking for something more fancy, there are options outside the park. The nearest railhead would be Junagadh some 54 kms away and the closest airport, Rajkot 160kms away. From both these places one can hire a taxi to get to Sasangir. Hitherto only a small band of the adventurous kind were into rock climbing, but recently rock climbing has caught on and this is one more sport for the person looking for some thrills. Though there are quite a few good rock faces to conquer all over India in Mount Abu, Uttarakhand and the Aravalli hills near Delhi, the toughest and best ones are in the Manali and Dharamshala regions. Test your skills and strength on these rocks. Access to Manali is via a Volvo bus from Delhi or a flight to Kullu and a short drive to Manali thereafter. To get to Dharamshala, there are buses from Delhi and also a flight that operates from Delhi, though it is seasonal. Both Dharmshala and Manali have no dearth of accommodation to suit any budget. Renowned for its fabulous beaches, it is no surprise that Havelock in the Andaman Islands is a scuba diver’s paradise! The sparklingly clear, unpolluted waters are home to exotic marine life like stingrays, manta rays, glassfish and angel fish amongst others. Surrounded by the most beautiful coral reefs, the Havelock islands is a soon becoming a Mecca for scuba divers looking for virgin waters. 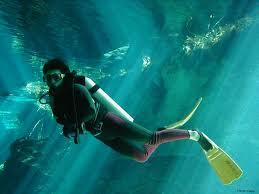 Besides the diving, one can snorkel and also go kayaking through the mangroves or explore the forests on the island. Access to Havelock is through Port Blair from where one can take a ferry ride to the island which lies . The best season for diving here is between December and April and the USP of these waters is the ambient temperature remains in the region of a comfortable 27 degrees centigrade with visibility going up to as much as 40 metres! The best diving sites are Barracuda City, Turtle Bay, Johnny’s Gorge and South Button. Accommodation is available though not in plenty, so do be sure to book well in advance. Read on to learn about the various other water sport activities and destinations in India. Do you want to go where few people go? Have you ever wondered what the north east of India is like? Nagaland has only recently been opened up for tourists and the land is beautiful as are the people. The Nagas still lead a lifestyle steeped in ancient tribal traditions and are warm and welcoming. From Kohima the capital, make foray into the Dzuko Valley some 30kms away – it’s as remote as they come and as green and picturesque as can be. This is definitely a nature-lover and trekkers paradise. Access to Kohima is through Dimapur and for domestic tourists an Inner Lone permit is required and can be easily got through the Commissioner of Nagaland at Delhi, Kolkata and Shillong. Foreigners need to apply to the Ministry of Home affairs, South Block New Delhi for Restricted Entry Permits. Accommodation options in Kohima exist in the form of a few hotels and in the Dzuko Valley there are some PWD bungalows. In Kohima, there are some small hotels that have clean but basic accommodation. If you love the feeling of being up in the air and want an adrenaline rush, go to Kamshet. Go paragliding. One of the best sites in India for this adventure sport, in Kamshet the paragliding opportunities are phenomenal. Glide over breathtaking sceneries below and feel as free as a bird. It’s a feeling like no other. Nirvana Adventures have 13 years of experience in the sport and business under their belt and whether you are a beginner or a veteran, they will have a course designed just for you! Access to Kamshet is through Mumbai or Pune which is just 45kms away. Accommodation is at the Native Place, a guest house run by Nirvana Adventure. The paragliding season kicks off in October and goes on till June. More about Aero Sports in India. Solang maybe a tiny little village in Himachal Pradesh, but the skiing is big here! Granted they are not the slopes of Switzerland, but nonetheless the ski slopes at Solang offer ski enthusiasts a run for their money. Go cross country skiing or snowboarding – options are plenty and the Directorate of Mountaineering and Allied Services (DMAS) is where you can hire ski equipment and take lessons. There are introductory slopes as well as moderate ones and even a ski lift that works intermittently to get you to the take off point. Don’t let that deter you as this is arguably a spectacular ski area and the best time to go is between January and March when the powdery snow is just right for skiing. Access to Solang is through Manali town which is 13kms away. So base yourself there or at the very basic accommodation provided by the DMAS in Solang. 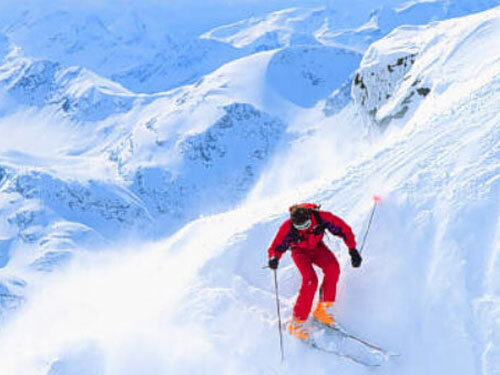 Read on for more information on other Skiing destinations in India. Make the two-day tough drive in a jeep from Manali to Leh or vice versa and drive through the most scenic mountainsides in the Himalayas. But beware this trip is not for the lily-livered: the road has many twists and turns and is very narrow at places with 21 loops at one point! At a height 17,500 ft, the Taglang La pass is the second highest motorable pass in the world. It’s a once in a life time trip and the road is open only in the season from mid June to early October. Carry your warm clothes as it does get cold and brace yourself for the most exciting road trip ahead. Access to Manali is through Kullu if you are going by air or a bus straight from Delhi to Manali. If starting the journey in Leh there are regular flights from Delhi to Leh in the summer months. Plenty of accommodation options exist in Manali and Leh. Get ready for an adrenaline rush: go white water rafting down the Alakananda and Bhagirathi rivers that join up to form the Ganges and flows all the way from up in the Himalayas to the plains of Uttar Pradesh. The rivers snake down between forest-clad mountains and makes turns and twists that provide a thrill to the rafter. Feel the spray on your face as your raft rushes down rapids that go up to Class V. Negotiating the run from Rudraprayag to Rishikesh is for the more experienced rafter and if you are a beginner try the Kaudiyala-Shivpuri-Rishikesh one. Access is from Rishikesh or Haridwar. Take a taxi or bus up to either Rudraprayag (6 hours from Rishikesh) or to Kaudiyala( 2 hours from Rishikesh). There are many camps that provide accommodation along the banks at Shivpuri and Rudraprayag and the GMVN also has facilities at these places. Learn more about River Rafting in India.